This extraordinary lounge is a great venue for your next party. Birthday Parties or team meetings, every kind of celebration will surely be a big success with a great opportunity for a fun group activity. If you want your party to be a little more private, the Smash Ping Pong Lounge offers a private meeting room. Capacity about 100. At Smash they provide a wide choice of food and beverages with tasty snacks – perfect for an evening at the Ping Pong table. These include pizza, snacks like fries or mozzarella sticks or desserts. With sport games showcased on TV, one of the tasty cocktails and a round at the Ping Pong table a good experience is guaranteed with a lot of fun and by the way is also good exercise. 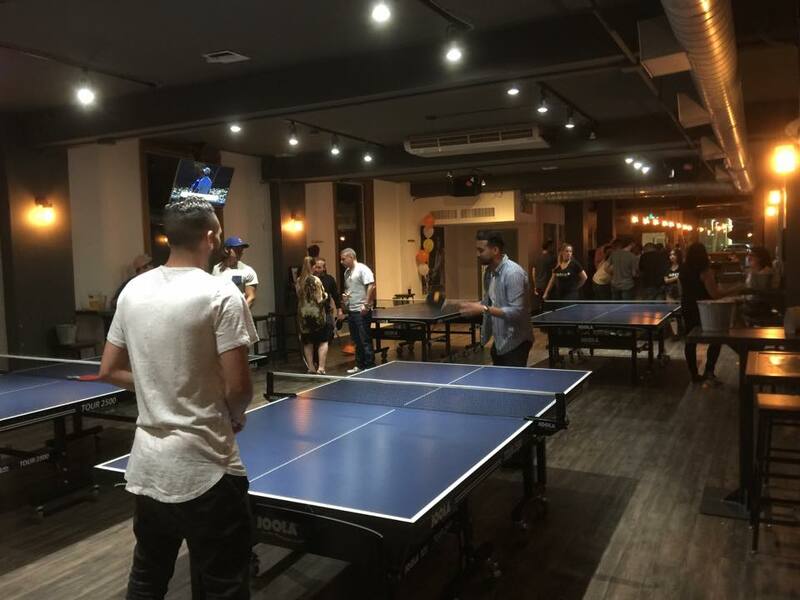 Smash Ping Pong Lounge is a great location for your next event, if you want your party to be remembered.